Here's what I did last night in case you weren't at the New Orleans Pelicans game. Check out the new yo-yo from Magicyoyo, the d5 dark sprite. Not only does the yo-yo glow in the dark, but the string does as well. 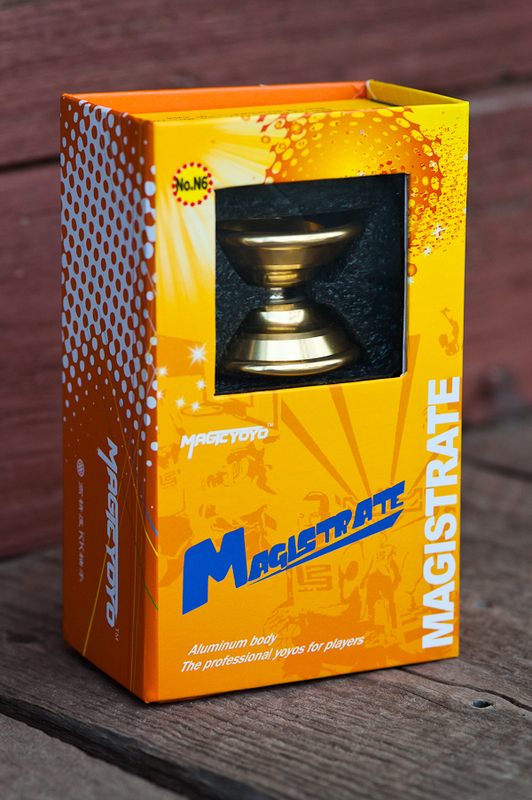 Special thanks to magicyoyo for sending out the yo-yo. 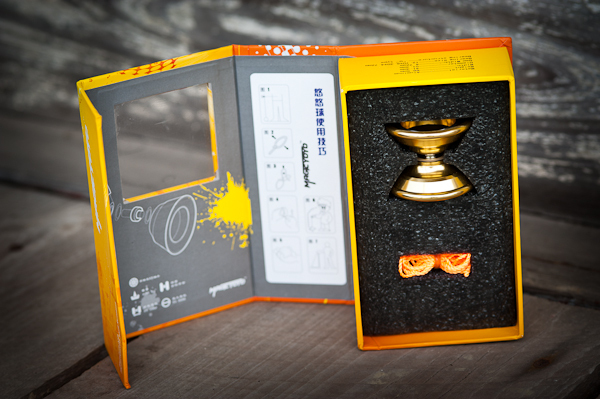 You can find out more at www.magicyoyo.cn, www.magicyoyoindonesia.com or look for their yo-yos at online yo-yo retailers. Visit the video section to see some more of their yo-yos in action. This video was produced by me, Matthew Noel, of findingflavors.com and themagicyoyo.com . It has been so much fun redesigning the website and getting ready for this years tour. It will be focusing on play and how important and fun it is throughout our life. 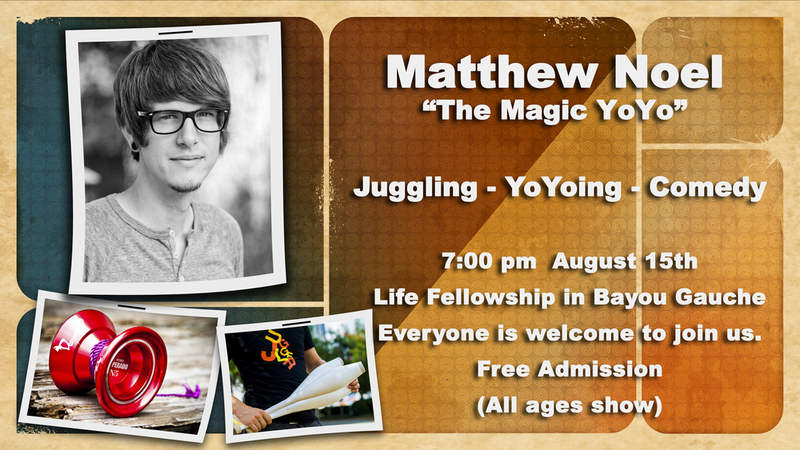 I will be juggling, yoyoing, doing magic and comedy across Louisiana. This is one of the many performances at Harrah's in New Orleans. Thanks to comedian Jodi Borello and magician Rob Lake for all their help. 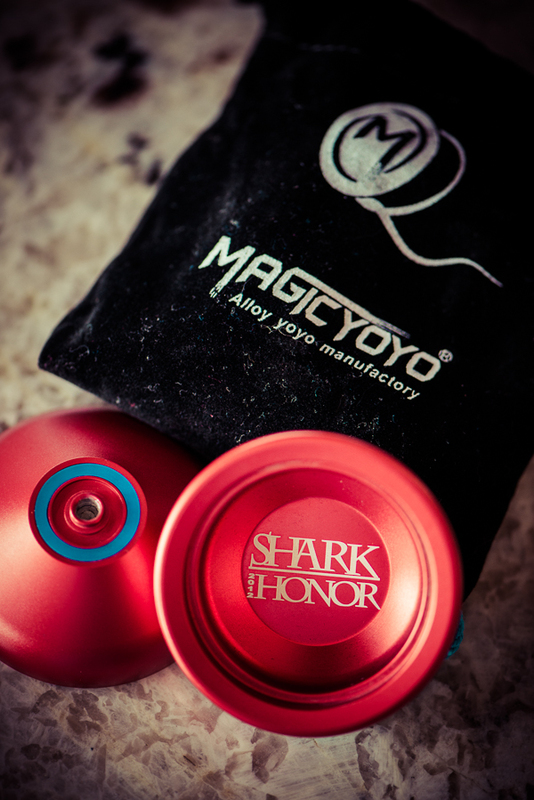 I just received my magic yoyo shark honor 2012 from the factory yesterday and it is sweet. 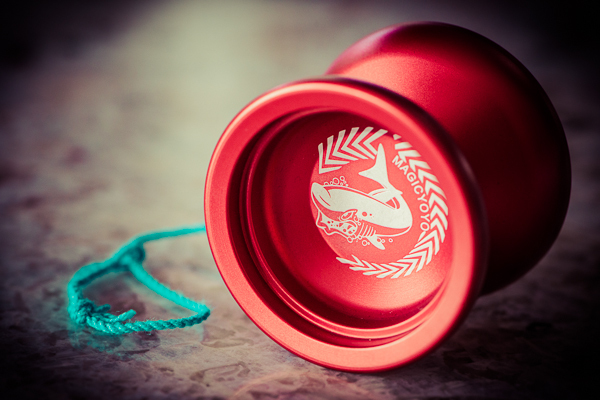 It is larger than most of the magicyoyo throws and has a great feel. The matte anodized finish is really nice. It has a silicone response system and a large concave bearing. I will post a video as soon as I can. I had the chance to put together a video from the Louisiana Assemblies of God summer kids camp. I went for the week as a senior councilor with my church, Life Fellowship, and had the opportunity to perform on stage as well. What a fun week. A special thanks goes out to Pastors Moe and Shontell Seneca. This video shows off the magic yoyo N9, N8, T6, and T9 yoyos. The N9 is called N9 - floating and is my favorite out of this group. It has effective hubstacks, a beautiful spatter anodized finish, and is smooth on the string. The N8 is undersized and quite fun. The T6 is a great all around yoyo. All are unresponsive out of the box. My current everyday throw is between the N9 - floating and N5 Desperado. Overall the yoyos play extremely well. Thanks to magic yoyo for letting me shoot this video. I'm not the best yoyoer but I love to throw! This video shows off the magic yoyo N5, N6, and T5 yoyos. 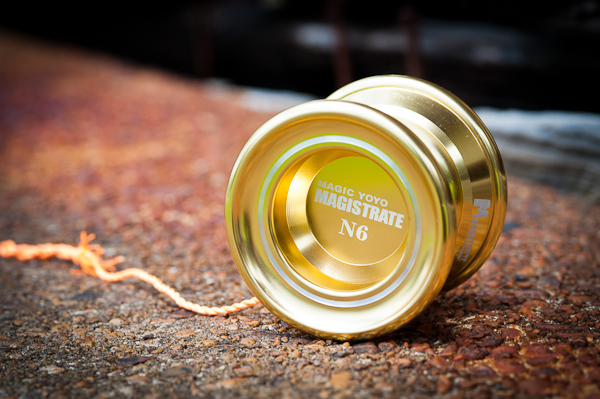 The N5 is named Desperado and the N6 is named Magistrate. I felt like a kid when I received the three yoyos. 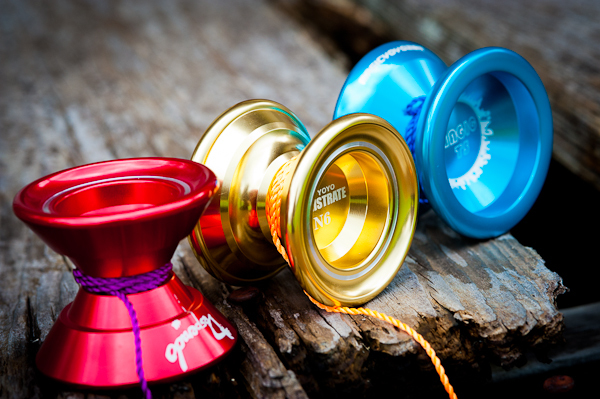 The packaging and anodized yoyos look great. I found the included polyester string a bit grippy with the silicone friction pads. I quickly put on my yoyo jam yellow string and it performed great. The concave bearing is smooth through string tricks. Overall the yoyos play extremely well. 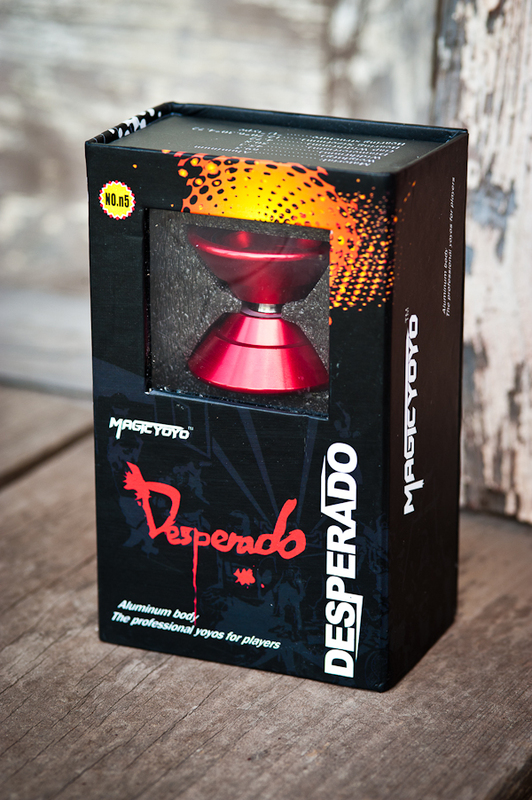 My favorite so far is the Desperado.﻿ This is a win for a reasonably priced set of metal yoyos with solid play. Below are a few photos of the packaging and yoyos. Enjoy! This is a video of Life Fellowship's trip to El Salvador. It was a life changing experience to play and minister with the children. I was able to juggle and minister alongside my brother, who is a missionary there. I hadn't performed with him in years. My brother yoyos while I juggle near the middle of the video. Thanks to Brian Dube of Dube.com for providing the juggling clubs. They have great juggling and performance props. Enoy the video! This is the second video from the Morgan City, La juggling shoot with Matthew Noel. This one has lots of tricks with spins (a.k.a. pirouettes) under high throws. My favorite trick is the last one. Check it out on my juggling videos page. I just posted a new video! You can see it by clicking HERE. Keep an eye out for another one coming soon. I will be performing for the Krewe of Gabriel including the King, Queen, and its riders. There will be snippets from my stage show that include some new tricks! I'm looking forward to it and it should be alot of fun. I'll try and post some video after if I have the time. I am always looking for the next thing to inspire me. Today I had the opportunity to look back at something I experienced as a young man. While living in Singapore, my family took a vacation to Tioman island in Malaysia. There we witnessed a popular local sport that looked like a cross between soccer and volleyball. A wicker ball was kept in the air by the players feet and the players tried to score by kicking over the net. My brother and I promptly bought one and found out how hard it was. Today I came across this documentary about a sport called Chinlone. The video features the artistic version of this sport. Prepare to be amazed! Summer is over and it was great. I performed my show for thousands of kid and parents. Thanks to all who made it possible, I truly love every minute. I figured it was time to freshen up the website a bit. If I was going to do it I wanted a cool and unique theme. 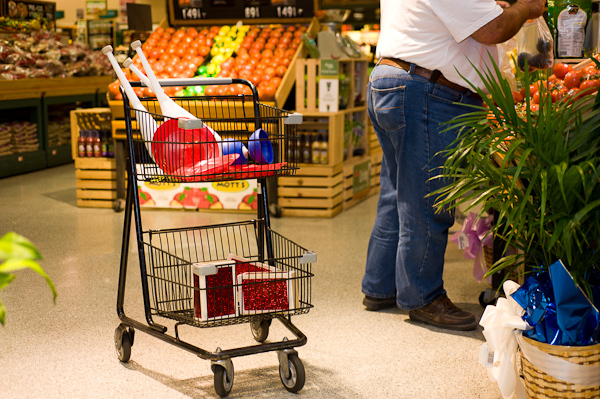 The idea is that props are the food of the show and I am the Chef that turns them into a performance. Let me know what you think. Lots of people at my performances ask how much I practice. For me it doesn't feel like practice, more like play. This video was taken in Lake Charles, LA while on my 2010 summer tour.﻿ Click HERE to see it.